Join for Kickball on July 15th! We need SIX more folks for July 15th kickball team! Will be a blast; sign up HERE. Pay $35 HERE. Invite friends on FB Event. 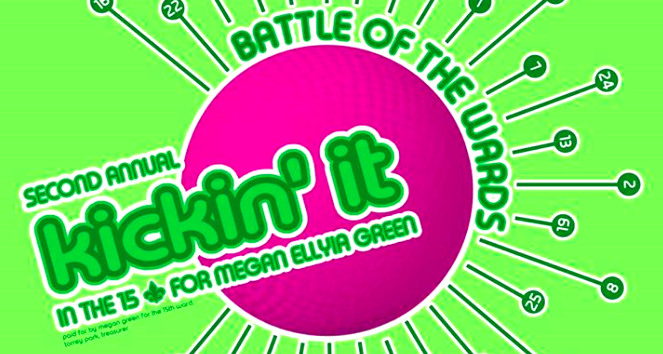 The St. Louis Young Democrats are fielding a team for the Second Annual Battle of the Wards Kickball Tournament! Kickball starts promptly at noon, and check-in is at the Gurney Picnic Area. Championship Game with Awards Ceremony to immediately follow at 5:00 PM. We need 10 people to form a team. Come one, come all, but sign up BEFORE THE END OF JUNE! All proceeds benefit our endorsed Democratic Alderwoman, Megan Green.